When it comes to the entrance test season, for most of the serious aspirants, NMAT is the first exam that they take. The key to performing well at the NMAT lies in maintaining the fine balance between aggression (considering that there would be opportunities in case there is a drop in performance) and complacency (considering that one has multiple shots at the test). While on one hand, it is an out and out speed test, on the other hand, the margin for error is so less that even a 10-minute drop in intensity is enough to bring you down from a 210+ score to a 190-odd. At an overall level, the order in which you should attempt plays an important role in the final outcome. Given that Language Skills has the lowest total time to number of questions ration, the section has to be attempted when your intensity is at the highest. Quantitative Skills is relatively slow-paced and with the Data Interpretation sets being a tad difficult (and so, easier to skip), the time available per question is pretty high (roughly 1.5 minutes per question). So, if you are a fidgety test taker and tend to make a lot of mistakes when you are nervous, it would be wise to take Language Skills at the end and start with the slow burn (relatively) that is the Quantitative Skills section. On the other hand, if you are someone who has a good reading speed and are good at reading comprehension and verbal ability questions, it would be best to get a bit of confidence by finishing off the section right off the bat. Looking at the general uncertainty associated with the Logical Reasoning section, it might help if you sandwich the section in the middle. To help you crack NMAT better, we have a 223 scorer, Dhwani Shah, hosting a live webinar on 16th October 2018 at 7:30 pm. Click here to register and join. Language Skills: From the preparation perspective, a lot of focus is placed on vocabulary and rightly so. While the other topics are finite in terms of content, vocabulary is something that cannot be predicted. Also, it is impossible to go through a concise list or a book to make sure that one’s vocabulary is up to the mark. If you are extremely concerned about the nature of words that appear on the test, you may go for the Official Guide that is sold by the GMAC. The book contains a few words that would have appeared in past NMATs and it should give you an idea of what to expect. If you are a regular reader though, you should not face any issues getting an accuracy of at least 60 percent (which is pretty fair) in these questions (typically, there will be 5 questions split between synonyms and antonyms) without doing anything special. The other questions based on usage and vocabulary (single sentence fill in the blanks questions, cloze passages in which there is a paragraph with multiple blanks) are more contextual in nature and so, your inferential skills would be more important than your actual knowledge of words. There will be a fair splattering of grammar questions as well (mostly based on incorrect usage of conjunctions/prepositions, phrasal verbs errors, parallelism, tenses, subject-verb agreement) which would amount to around 5 – 7 questions. The questions from these areas are generally easy and even with a working knowledge of basic grammar rules, you should be able to get at least 80 percent accuracy. The last non-Reading Comprehension part will be jumbled paragraphs, which are generally easy and can be solved by using options and basic concepts of pronoun usage, chronology and general flow of the paragraph. Reading comprehension passages are short and easy to read but the questions are pretty inferential and so, focusing only on speed will almost always result in a lot of confusion. The basic practice of reading comprehension passages from any of the popular sources (other entrance tests, online resources, mocks or the Official Guide) should suffice. Also, if you do not have a reading habit, it is recommended that you read from a diverse set of topics. It would not only help you grasp fresh topics quickly but would also help you face interviews and group discussions in a better manner. From a strategy perspective, the main challenge in this section would be to read faster than you normally do. 32 questions in 22 minutes would be a blur and solve two 500-word reading comprehension passages (with 4 questions each) would take a big chunk of your time. Purely from a theoretical perspective, you would not be able to afford more than 6-7 minutes on each reading comprehension passage. Considering the high risk involved in solving passages, it is advisable to start with the non-reading comprehension part and then try to solve the reading comprehension passages. Getting stuck is a big no-no and you have to decide instantaneously what the right answer would be according to you and move on. Quantitative Skills: A major part of the 40 question section would constitute of some 4-5 data interpretation sets (with 4 questions in each set). The pure math part is pretty straightforward and if you are fairly good at the basic concepts from arithmetic (averages, ratios, time-work, time-speed-distance, percentages, interest rates, mixtures), algebra (simple linear, quadratic equations, roots, indices and logarithms), geometry (basic flat structures, coordinate geometry and mensuration formulas) should help. The rest of the questions will be from number theory (LCM-HCF and divisibility) and modern maths (permutations-combinations, probability). There could be questions on data sufficiency and/or quantitative comparison as well so, you need to be mentally prepared for that as well. The data interpretation sets are almost always calculation intensive and invariably, there will be a couple of sets that will require a deeper understanding the information given. So, the best way to deal with these sets is to select the two easiest ones (those involving line graphs and growth rates, consolidated tables and percentages, profitability sets) and solve them correctly by not spending more than 10 minutes in total. The rest of the sets, you may attempt at the end if there is time left. From a preparation perspective, you need to go to methods to add and multiply values quickly and a good command on reciprocals (first 15 natural numbers at least) and percentages. From a strategy perspective, attempting the quantitative part before the data interpretation sets would be the best way to approach this section given that it would give you an opportunity to go through all the questions at least once. Spending more than 45-60 seconds without doing anything is not recommended and it would be better if you were to leave questions quickly and get the base score in the section at the earliest. A short observation on scaling in this section: your raw score might not necessarily be equivalent to your scaled score and from personal experience, I am inclined to believe that the range of scores in this section is limited. So, after a point in time, it does not enhance your overall score by a significant amount and hence, you might want to focus on getting more questions right than simply solving more questions. Logical Reasoning: The split between verbal and non-verbal reasoning is roughly 30:70 in this section. Verbal reasoning questions are mostly from critical reasoning (strengthening/weakening of arguments, conclusions/inferences, assumptions and analogies) and standalone questions could appear from courses of action and syllogisms. The accuracy in this area is bound to be low and it is recommended that you do not spend a lot of time on this part of the section. Overthinking is probably your biggest enemy when it comes to non-verbal reasoning and it is better if you stick to your instinct more in these question-types. Non-verbal reasoning questions will generally involve arrangements, sequential output, blood relations, coding-decoding, series, geometric representation/overlaps of regions and grid-based codes. If you are aware of each of these question types and have a way of starting with your solution, you should be fine. If you have no idea about one or many of the question types, you may go for any publications of repute available in the market or the Official Guide. Typically, there will be 2-3 sets based on complex arrangements and the sets generally involve multiple cases and eliminations. So, unless you are really good at these types, it is recommended that you attempt the other questions first. Considering that the time per question is low and there are a lot of question types wherein you can easily get carried away, it is recommended that you stay as practical as is possible and are moving fluidly through the section. Do not let your ego take over in any situation and stick to your basics. Overall, you should be looking at around 25 genuine attempts in Language Skills (accuracy of around 80%), around 30-32 genuine attempts in Quantitative Skills (accuracy of around 90%) and around 25 genuine attempts in Logical Reasoning (accuracy of around 90%). If your accuracy is lower than the numbers mentioned, you should be prepared to attempt a few more questions. A word of caution to conclude: do not go into the test with a rigid mindset. While the major trends have generally been consistent over the last many years now, at a question level, there has almost always been a bit of tweaking done to rattle the test takers. Certain question types could be easier in a few slots and could be difficult in the other slots and so, do not decide which questions you are going to attempt before you go for the test. The test is extremely candidate-friendly in terms of no negative marking, no general awareness section, multiple attempts and the fact that there is a significant weight given to the written score. Considering that it is the first test of the season, not a lot of candidates are well-prepared and it should work in your favour. SDA Bocconi Asia Center accepts CAT, NMAT, GMAT for its International Master in Business. SDA Bocconi Asia Center has partnered with Dr Shashank Prabhu to write prep articles, to help aspirants in their test prep. He is a CAT 100 percentiler, CET Rank 1, IIFT 100 percentile. He had a scaled score of 249/360 in NMAT BY GMAC 2016 and 99 percentile in each of the sections and overall score. To help you crack NMAT better, we have a 223 scorer hosting a live webinar on 16th October 2018 at 7:30 pm. Click here to register and join. 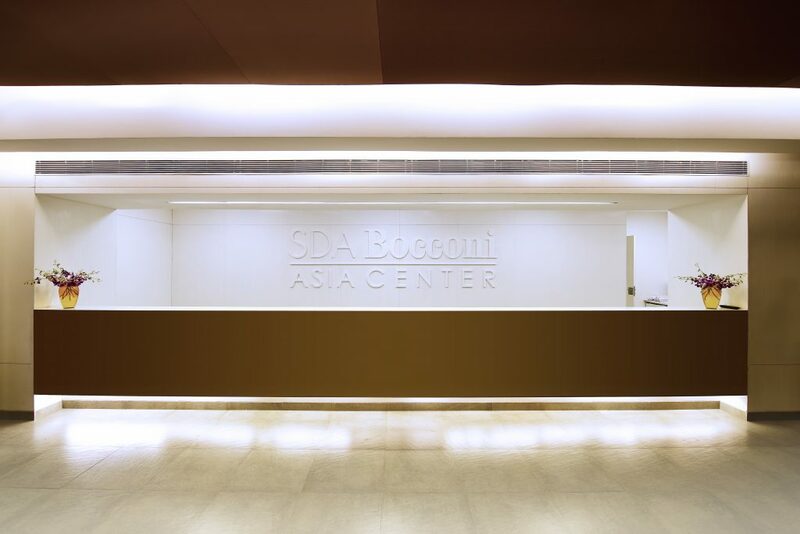 SDA Bocconi Asia Center is the Pan Asia hub of SDA Bocconi, Italy. In Mumbai, we deliver our flagship program, IMB - International Master in Business, which is a 22 months program of 2 modules of 11 months each. In the second module, students get an opportunity to complete their specialization in our Milan campus at Bocconi University for 4 months. Why Did You Choose IIM Rohtak?